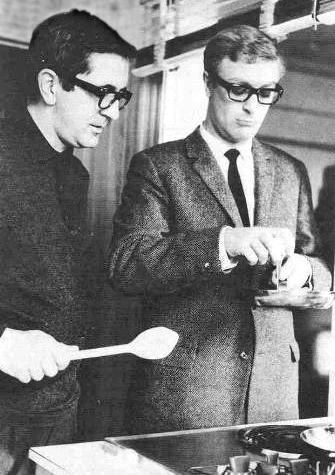 Len Deighton has already written a Sherlock Holmes short story, and an introduction to a forthcoming Fleming release, why not have him write a James Bond short story? If either Deighton or Glidrose is listening (which is bloody unlikely!) then go for it. I wanted to post this on Rob’s website but sadly he doesn’t allow anonymous comments. Hello, ‘anonymous’. Yes, it’s right, I don’t allow anonymous postings on my blog simply because I think it’s more polite and supportive of online conversation for people to provide a name or a moniker. I had a long conversation with Len last month about Bond stuff, talking about his recent introduction – I have seen the original text he provided, which was rejected – and other stuff related to his work on the Thunderball re-make. I don’t foresee – partly as he’s basically retired – Len stepping up to write a Bond novel or short story. However, it would be interesting. @Rob: We look forward to any posts on the subject you are able to do. Thanks for replying Rob! However, unless I’m mistaken one needs a google account in order to post to your site. Providing a moniker is no big deal. But registering with google seems a bit extreme. If I’m wrong please let me know. it’s hosted on Blogger – I’ve no control over what the registration policy is, as far as I’m aware, but I’ll check. Ah – there was a setting, I’ve changed. Now it just requires users to be registered. Sorry ’bout that.